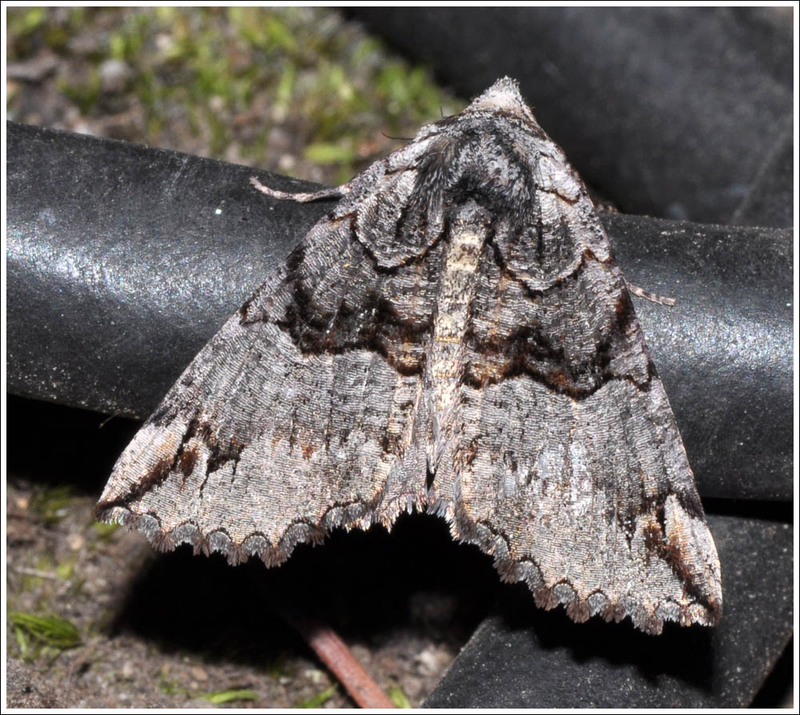 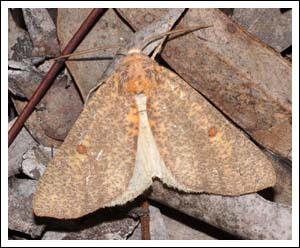 The short late autumn day saw the light shining in the box/ironbark bush by by five thirty, and the first moth arrived soon after, a small tortricid barely 10 mm long. 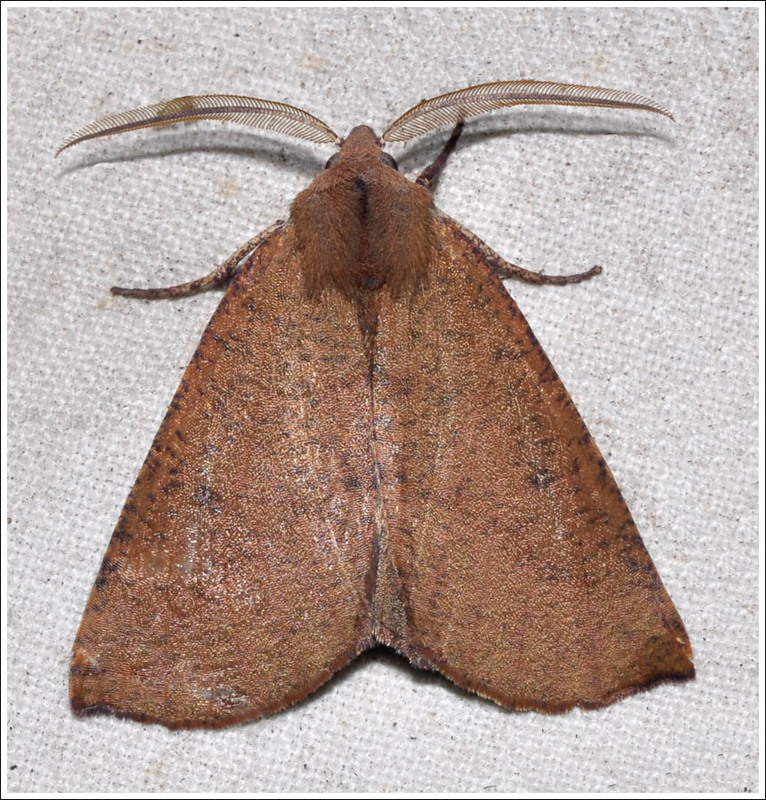 As expected it was fairly quiet for the next hour, but then things changed dramatically when the first Batwing Moth, Chelepteryx collesi, (Anthelidae), flew in to land on the ground. 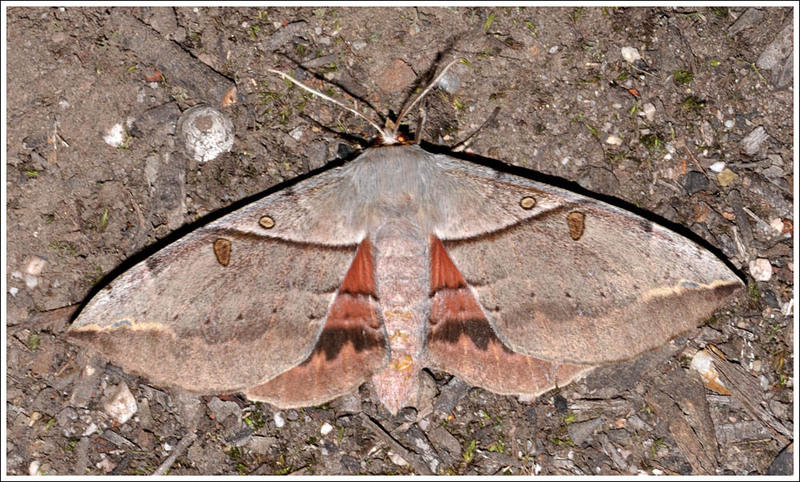 Quite a contrast in size to the above, with wingspans in the species of up to 125mm. 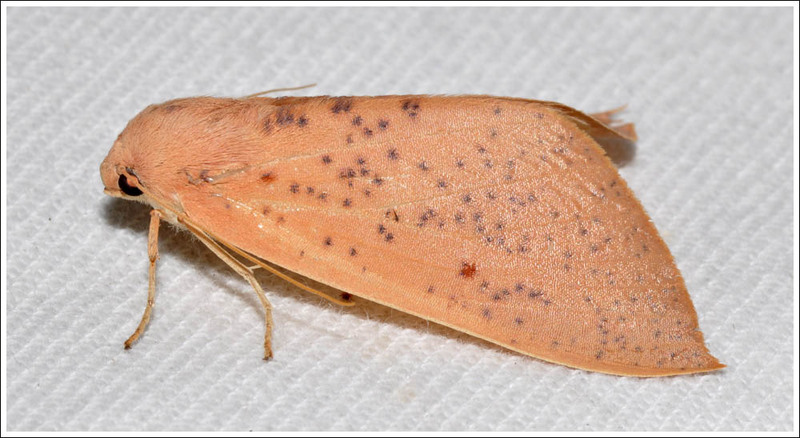 The two Chelepteryx species, C. collesi and C. chalepteryx are autumn flying moths with April and May the main months. 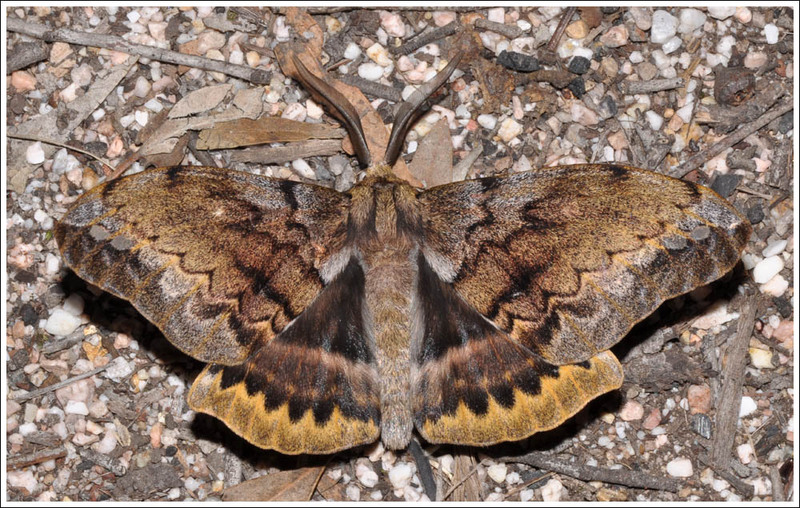 Previous occasions have seen up to fifteen C. collesi come to the light in forest containing peppermints, and it was of interest to see if the box/ironbark/stringy bush was also to their liking. The answer was a resounding yes, as over the next three hours thirty five flew in. 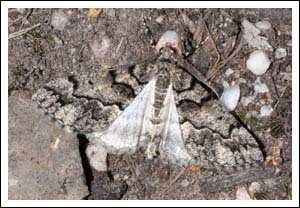 The majority stayed on the forest floor or the ground sheet, a corner of which is illustrated below. 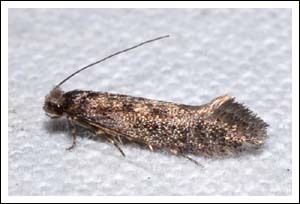 In order to avoid treading on any it was necessary to relocate a number to nearby Stypandra glauca bushes, where most were happy to remain. This one was placed on a red stringy trunk for a picture. 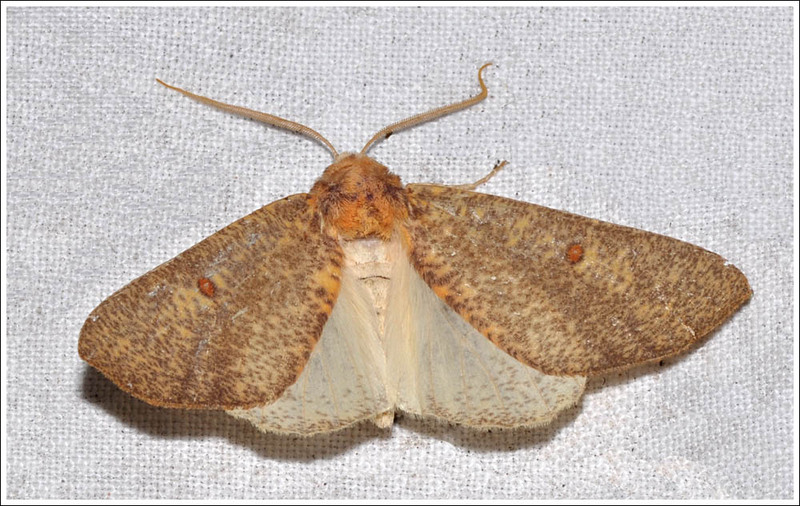 C. collesi was also expected, but it was three hours before one arrived, followed later by another. 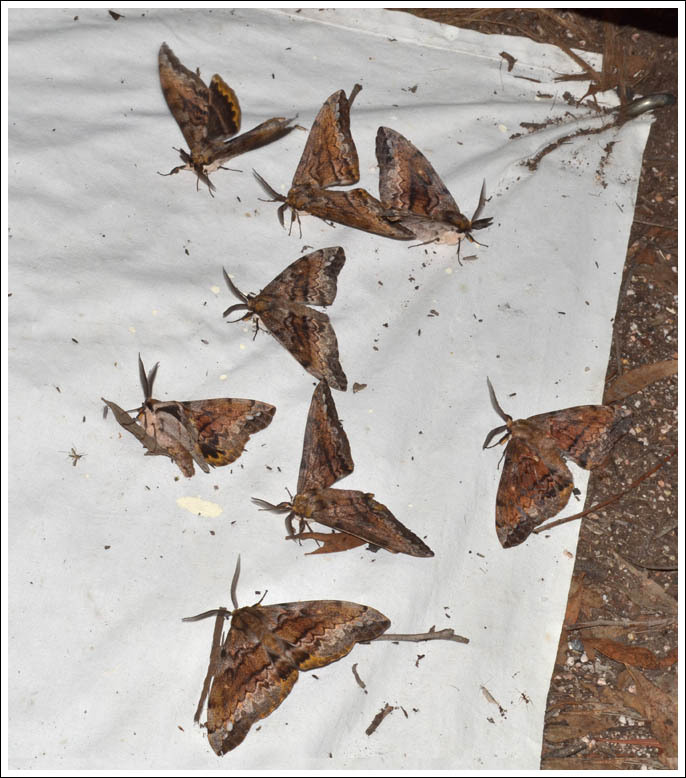 They were much more restless than the batwings and it was quite some time before they settled for photo opportunities. 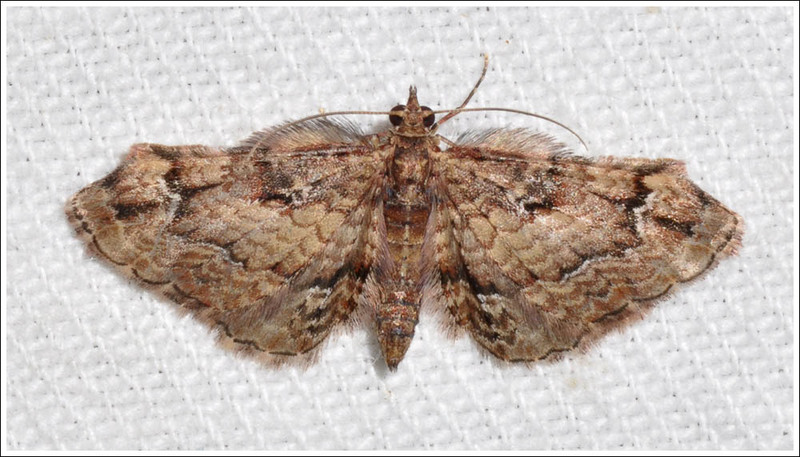 Geometrids were well represented with some interesting records, firsts for the location. 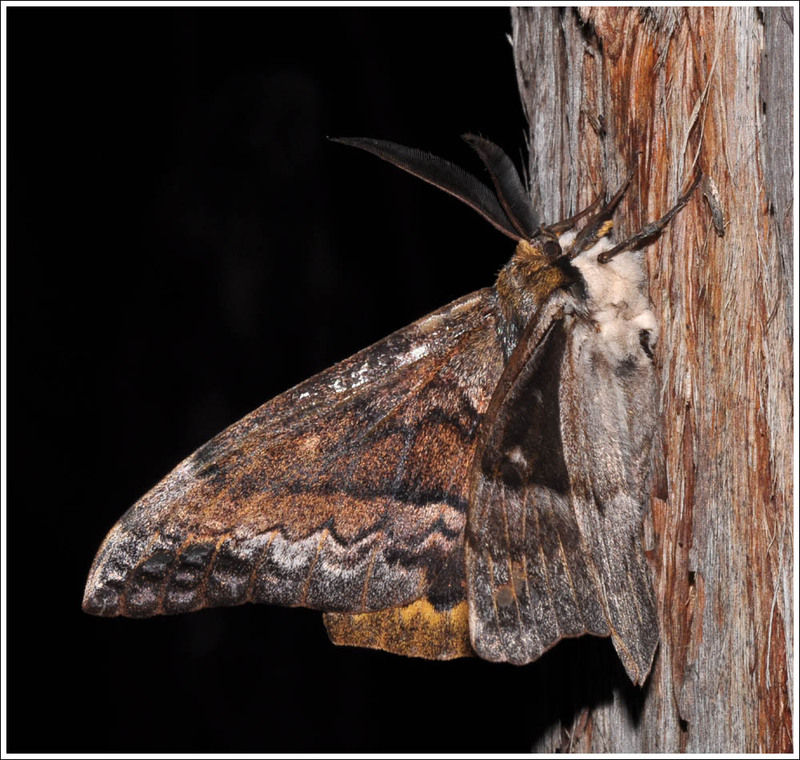 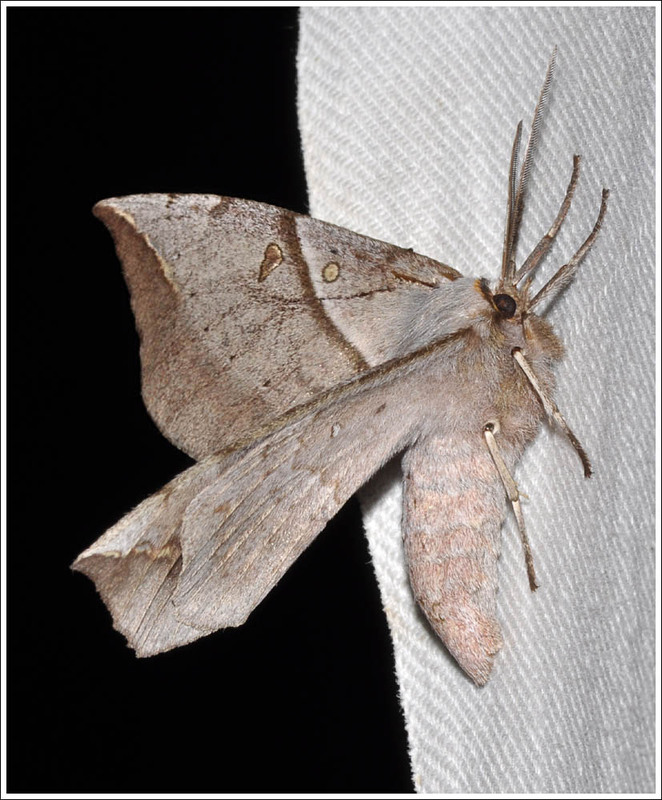 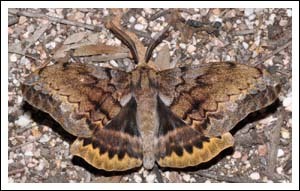 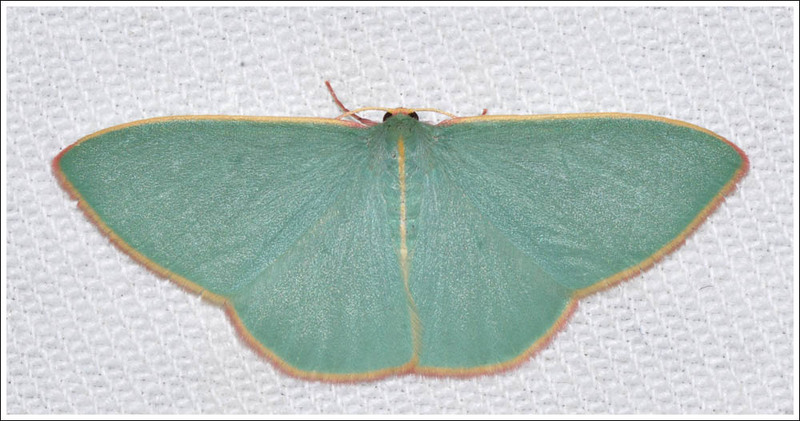 This next moth in the same sub family is a very unusual form of Plesanemma fucata, the Lemon Gum Moth, compare the pictures with this image of the typical form. 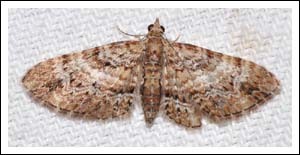 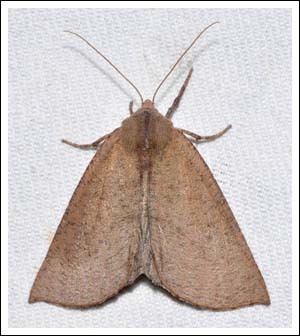 This moth is identified by its dorsal line and plain wings with pink-tipped fringe. 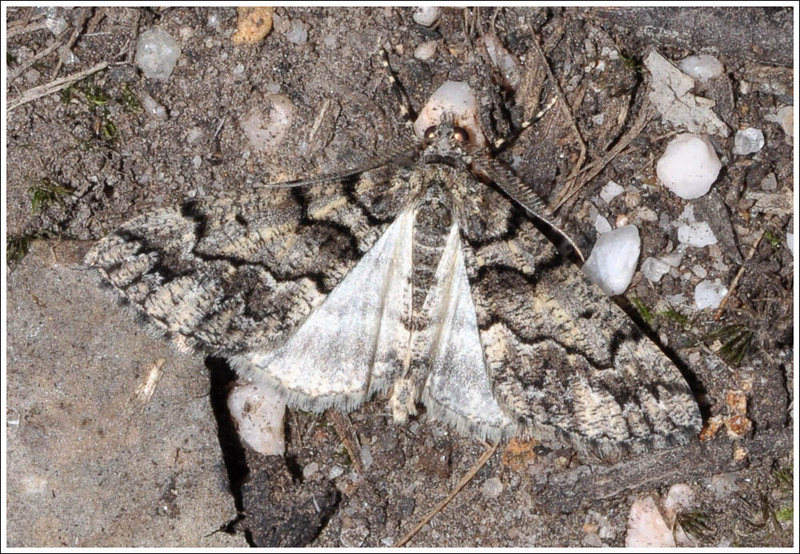 The male Plumed Carpet, Chloroclystis approximata, is a very attractive small moth in the Larentiinae sub family. The female is differently shaped and much plainer. Several came in and were quite worn. Moths of Victoria Volumes 1,3,4,5, and 7.